Home > legal-categories > Who Was OJ Simpsons Lawyer? Who Was OJ Simpsons Lawyer? The trial of celebrity and football legend O.J. Simpson in the mid-90s was a big media affair. After the murder of Nicole Brown Simpson, Simpson’s ex-wife, and her friend Ron Goldman, Simpson arranged a strong legal team to back him up and ensure his acquittal. Millennial people, who were born after 1995 and even after 2000, are curious about how Simpson got away and who his lawyer was. Find out all about Robert Kardashian, the lawyer for Simpson. To the millennial people, Robert Kardashian is now famous as the father of celebrities and global heartthrobs Kim, Kourtney and Khloe Kardashian. But the 90’s saw him as a celebrity on his own right. He began his career in the late 1960s as a lawyer. Soon, he got involved in various business ventures, including a few of O.J. Simpson – who was his friend. When Simpson was arrested after a spectacular chase and charged for the murder of his wife and her friend in 1994, Simpson appointed Kardashian as his lawyer. Robert Kardashian was born in 1944 to Armenian-American parents, who ran a profitable meat-packing business. He grew up in L.A, and had his early schooling from the Dorsey High School. He earned a degree in business administration in 1966 from the University of San Diego. Kardashian worked as a lawyer for almost 10 years before he concentrated on business. Along with another investor and his brother, Robert set up a trade publication called Radio & Records in 1973. It was around 1973 that he met O.J. Simpson, a football star of that time, and developed a friendship. The friendship soon turned into a professional relationship, with the two setting up a music video company and a frozen yogurt shop. Simpson soon became a family friend. Robert Kardashian married for the first in 1978, and from his first wife Kris he had his first daughter Kourtney Kardashian in 1979. The following year saw another daughter Kimberly Kardashian being born. The couple spent time with Simpson and his wife Nicole Brown who was his girlfriend at that time. Soon, the Kardashians welcomed son Robert Jr. and another daughter Khloe Kardashian. The Simpsons married in 1985 and had two kids, Sydney – a daughter and Justin, a son. Kardashian stood by Simpson during his 1995 trial, and worked with other lawyers F. Lee Bailey, Shapiro and Johnnie Cochran to fight prosecutors Christopher Darden and Marcia Clark during the long trial. The face-off paid off, with Simpson being acquitted of murder charges in October by the jury. Following Simpson’s acquittal, the relationship between the two once-close friends soured. 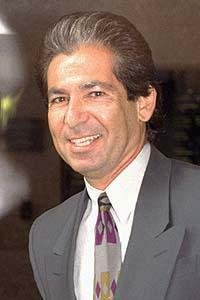 In 1996, Robert Kardashian mentioned to ABC News that he was suspicious of the innocence of Simpson. He clearly said that he had doubts with the blood evidence. He also told this to author Larry Schiller in an interview for the latter’s book “American Tragedy”, which analyzed the trial and defense team of Simpson. Robert Kardashian died in 2003 due to esophageal cancer.